I am an insured level 5 qualified clinical reflexologist and reiki practicioner, with over 10 years of experience based in London. During the end of my level 2 beauty therapy training, I had the opportunity to come across a reflexology course. I was blown away by the results of the case studies that I saw during my training, and I decided to pursue reflexology with all my heart. 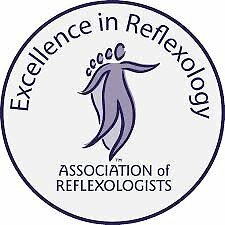 Reflexology is not only my job, but it's become my passion. Reiki training was a natural next step for me on my path as an alternative therapy healer. When appropriate I combine the two healing treatments together to achieve optimum results. Even after all these years, I continue to keep my practice up date so I can give my clients the best treatment possible. I have trained alongside some of the most influential teachers such as Hagar Basis, Sally Earlam, Dr. Manzanares, Tony Porter, as well as Louise Keet. I work mostly in Central London and North London as a mobile therapist (home visits), but can travel to other areas. I believe that allowing the body to rest and relax after treatments in the comfort of your own home helps with the healing process. Please contact me for information and pricing. If you are located in North London, you can also book an appointment with me at Impressions Hair & Beauty Salon N13 4SE for reflexology, Reiki, CACI Non surgical facelift CND Shellac manicures, and pedicures.